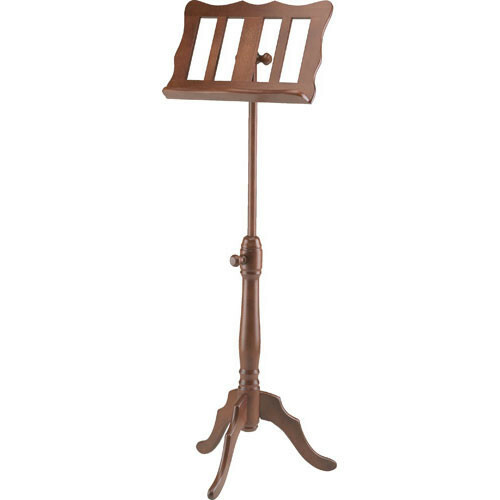 The K&M 117 Walnut Wood Music Stand features a stylish Baroque Curve design that adds elegance and flare to orchestras and classical music ensembles. The stand features a tilting music desk that measures 17.71 x 12.20" (450 x 310mm), and an adjustable height of 37.79 to 51.96" (960 to 1320mm). Box Dimensions (LxWxH) 30.5 x 16.0 x 4.0"